I seem to be in the mood for watching silent cinema of late. I started off earlier this week with the excellent 1920 film 'The Cabinet of Dr. Caligari'. This got me thinking that I really should take the time to delve into the Sherlock Holmes films from this era. I'm a big fan of silent cinema, but it's usually the likes of Laurel & Hardy, Harold Lloyd & Buster Keaton that I am often drawn to. Fortunately I already had my introduction to the genre waiting on the shelf in the form of 'Sherlock Holmes: The Archive Collection', a DVD that I had ordered a couple of months ago and hadn't got round to watching yet. Two nights ago I saw my first Eille Norwood film and was instantly blown away by it. 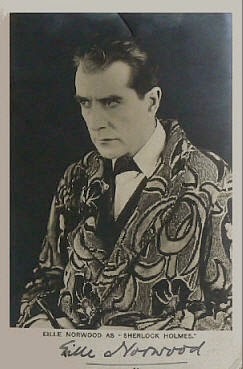 Norwood appeared in 47 adaptations of Conan Doyle's stories between 1921 and 1923 (45 short films and 2 feature films), a feat unmatched by subsequent movie actors playing Holmes. 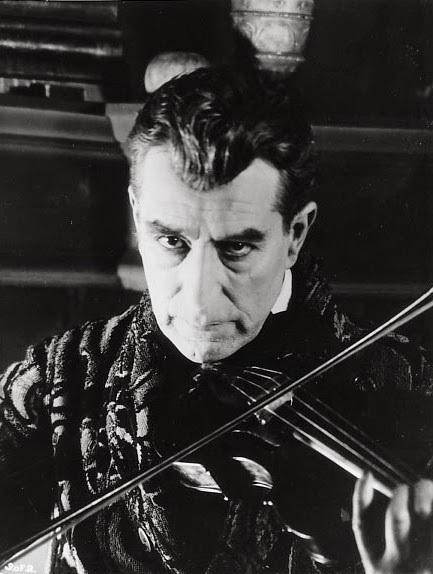 As with other early Holmes films, he is hampered by a woefully miscast Watson (in this case, Hubert Willis), but even with this disadvantage his brilliant performance shone through. With the majority of these films still in existence it is surprising that they haven't been released commercially (only 'The Man with the Twisted Lip', 'The Dying Detective' and 'The Devil's Foot' have managed to make their way on to DVD so far). Hopefully the recent upsurge in popularity for the great detective will convince someone that the time is right to release them. 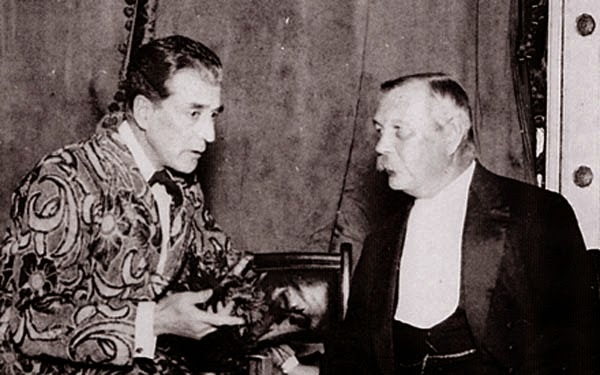 Sherlock Holmes meets his maker (Norwood and Doyle during the early 1920s).